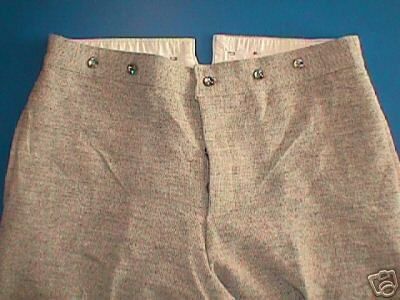 These pants are made of grey Jean Cloth. Jean Cloth is woven with wool and cotton yarns. This fabric is a reproduction of the original fabric and is made exclusively for us. It is very correct for Confederate uniforms. These pants have side slash pockets and suspender buttons. 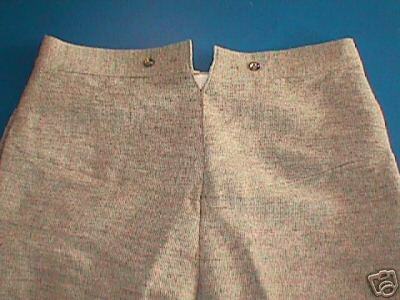 Waist band is lined with cotton muslin.